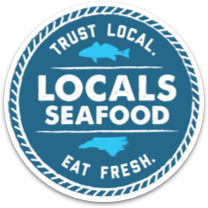 RALEIGH – Seafood lovers should make plans to attend Seafood Day at the State Famers Market Friday, Aug. 28, from 11 a.m. to 1 p.m. The second-annual event will feature free shrimp samples (first come first served), filleting demonstrations and informative displays about the state’s seafood industry. During the event, visitors can learn how to properly filet fish and shuck oysters from the fishmongers at Locals Seafood. Children can take part in a mullet-toss competition for prizes. There also will be a display of N.C. fish species, and other educational displays from N.C. Catch, Got to Be NC Seafood and the N.C. Aquaculture Association. In addition, Locals Seafood and the N.C. Seafood Restaurant will have specials available for attendees. The State Farmers Market is located at 1201 Agriculture St. in Raleigh. A variety of late-summer and early-fall produce is now available, including tomatoes, corn, apples and muscadine grapes. Shoppers can find local meats and seafood, wines and specialty products, as well as plants and shrubs for fall plantings. More information about Seafood Day and other special events at the market is available at www.statefarmersmarket.org.